As mentioned, there are two types of Edge Devices. 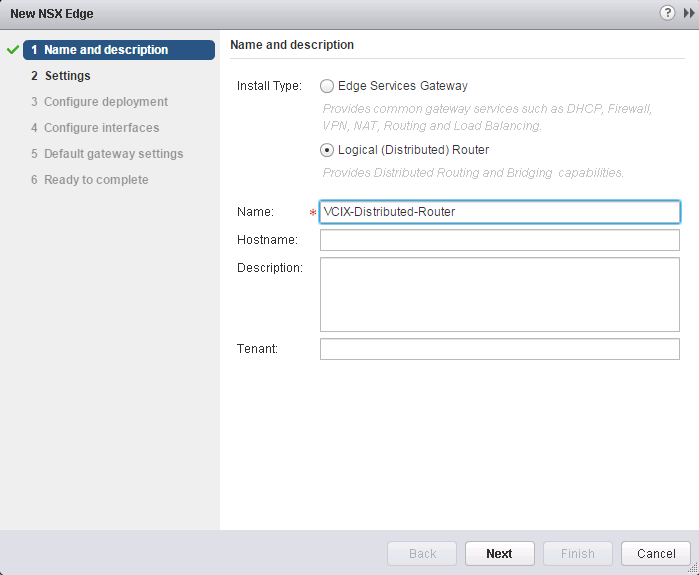 The Edge Services Gateway, which is mainly used on the perimeter of your environment for north-south traffic, and then there is the Distributed Logical Router which focuses more on internal, east-west, traffic. Follow the directions below to implement a DLR. Step 1. 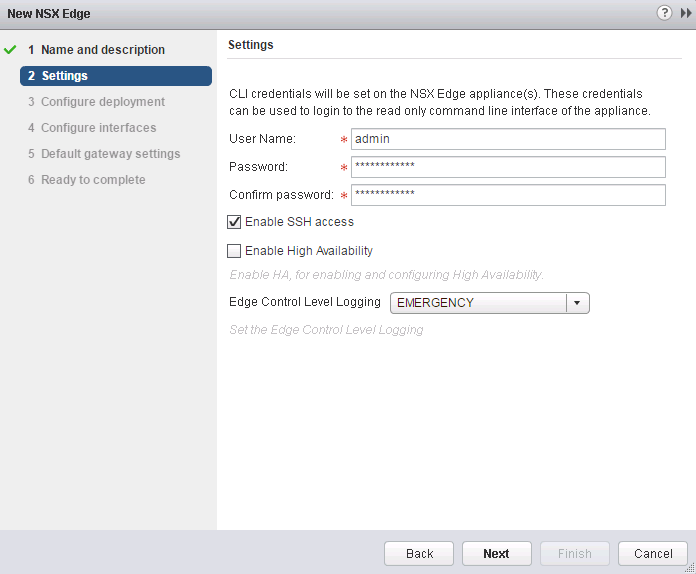 Log into the vSphere Web Client and navigate to Networking & Security -> NSX Edges then click the + sign to add a new edge device. Step 2. Select the radio button Logical (Distributed) Router) then provide a Name and optionally you can configure a Hostname, Description, and Tenant Click Next when you are done. Step 5. 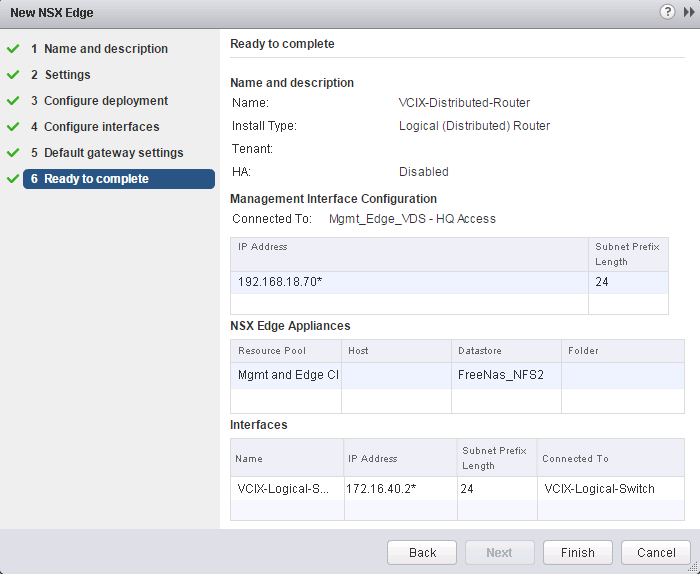 Click Select next to Connected To to specify a Management Interface, and then click the + sign to add an IP Address. 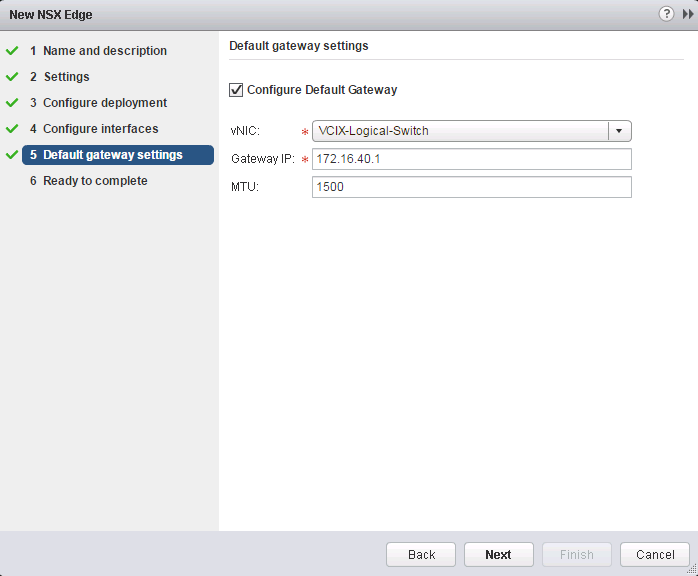 I have configured one interface, and connected it to my VCIX-Logical-Switch that we created earlier. 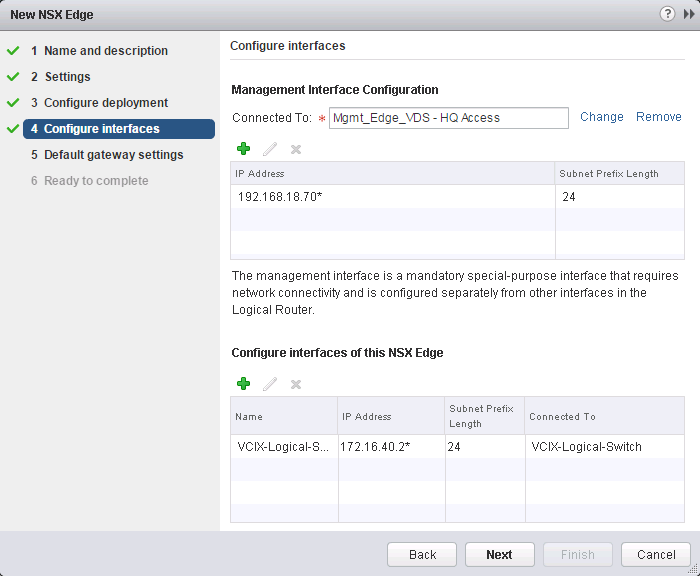 Once deployed, you should see a new NSX Edge with the type Logical Router and a VM in inventory as shown below. 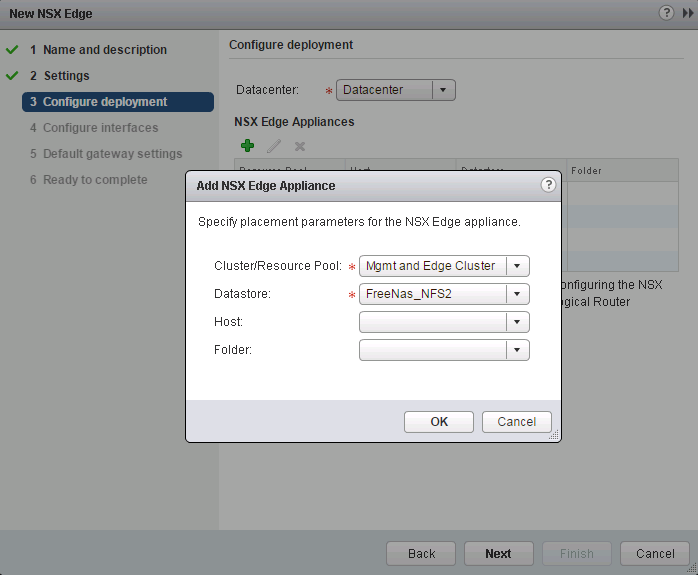 for the default gateways and Management IP you assigned, Is that network part of the physical or you define that inside of nsx?